You meet new people every day and make new friends as well. How do you make friends then? 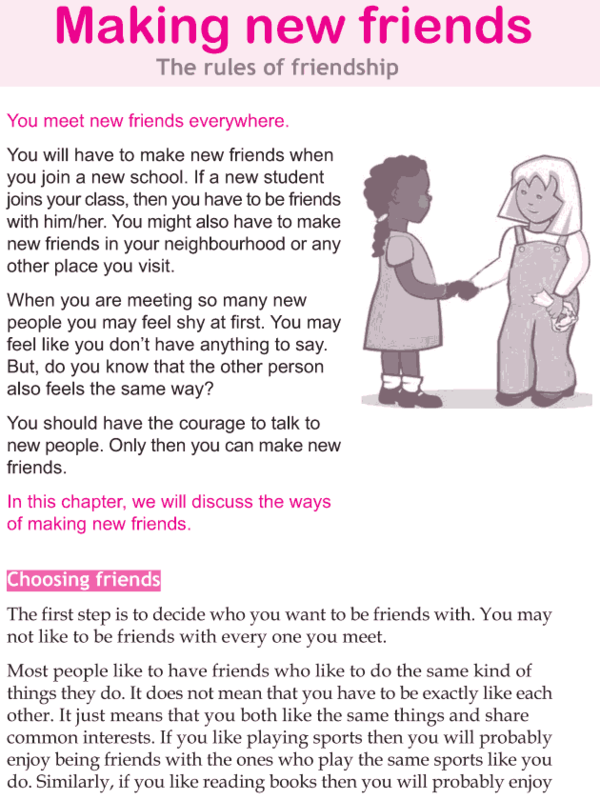 This lesson is about the different ways in which you can make new friends. It also tells us how to keep our friendship alive.